past as lilting music plays in the background and flavourful odours waft about. graphics, and the room is dimly lit, capturing a fire-lit feel even in warm seasons. together in a crowded room. menu holds many options both heavy and hearty, so be sure to bring an appetite. to tenderness, the rice steaming. grains of freek absorb the flavour nicely. grandeur, it may be well worth the price. This restaurant remains one of the top choices for showing off the Capital's cuisine for out-of-towners; remember to reserve well in advance for weekend evenings. 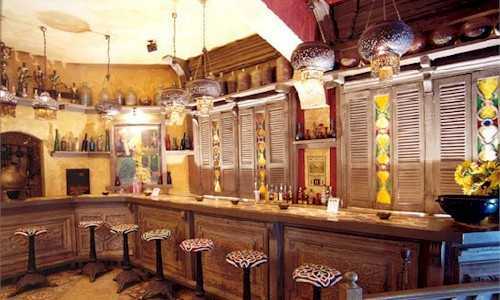 Abou El Sid's ambiance makes for a cosy and intimate setting in which to enjoy an evening. Some argue the food is over-priced for classic home-cooking selections.